Hello lovelies! Today's post is a review of the limited edition Essie Gel Couture Wedding collection by Reem Acra. If you didn't know, Reem Acra is a bridal designer and she's teamed up with Essie to create these six shades. While there are a couple shades I like, I feel like the majority of them are very "mature" looking and the formulas aren't the best. That's my opinion though! Let's take a look..
Hello lovelies! 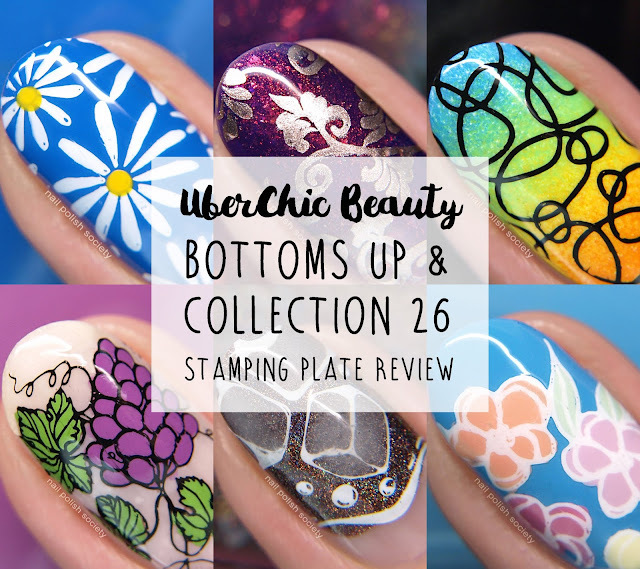 UberChic Beauty just launched their new website as well as a new Collection 26 and Bottoms Up single stamping plate. I found lots of images that I wanted to use as usual from the three plate collection. I kept it down to just four manis so that I could get them done in time for the launch. The Bottoms Up plate posed a little more of a challenge for me to figure out what images to use. The majority of them are alcohol and coffee themed, none of which I consume, so I had to get a little more creative. I'm pretty happy with the nail art I've created from these plates! Let's take a closer look..
Hello lovelies! Today I have swatches of the ORLY Neon Earth collection to share. I'm really feeling the vibes of the color palette and for the most part the formulas were really nice. This collection is part of the Summer 2018 Color Pass Box that also included top coat, skin care, and nail art items. The Box is a really great deal for those who love buy full collections, plus if you read on to the end I have a discount code for you! Hello lovelies! I have eight stunning new shades from Emily de Molly in a wide range of colors and finishes! I love the variety in Hayley's monthly releases because there's always something for everyone. The formulas were all great and easy to work with so I won't go into much detail on that. Let's take a look..
June Polish Pick Up: "Video Games"
For the month of June the Polish Pick Up took on the theme of "Video Games". Now, video games have never been very near and dear to my heart. But never fear, some beautiful polishes were created despite my non-nostalgia. Let's take a look..
Hello friends! I'm excited to show you two more beautiful polishes for the Road to Polish Con series! 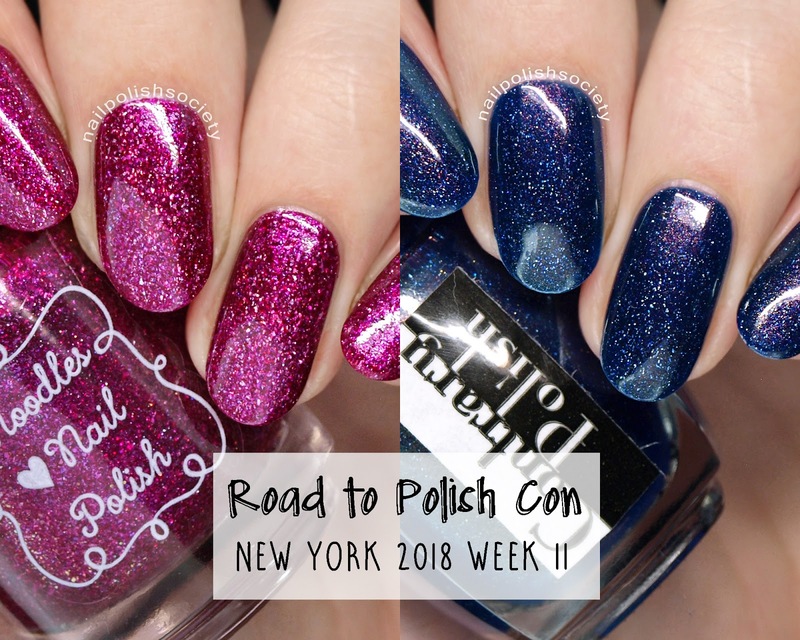 I can't believe how time has flown and that Polish Con is only a month away! Luckily we still have a couple weeks left of RTPC so stay tuned for the last weeks! So many!!! Hello friends! 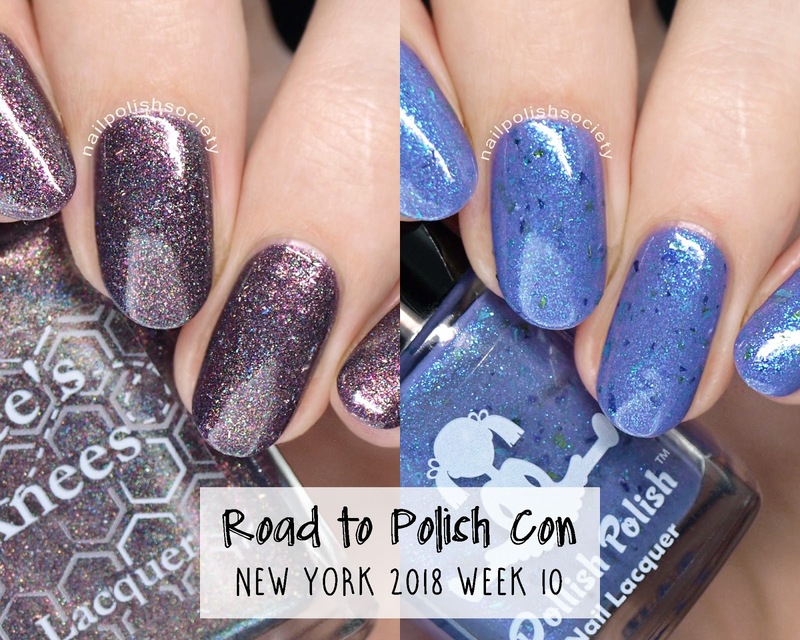 Back in February Carolina created a very unique limited edition thermal shade for the Polish Pick Up (here). Due to popular demand she has created three similar color to clear glitter and shimmer filled shades. These are all great Summer shades and the formulas were all nice to work with. Let's take a look..
Hello lovelies! 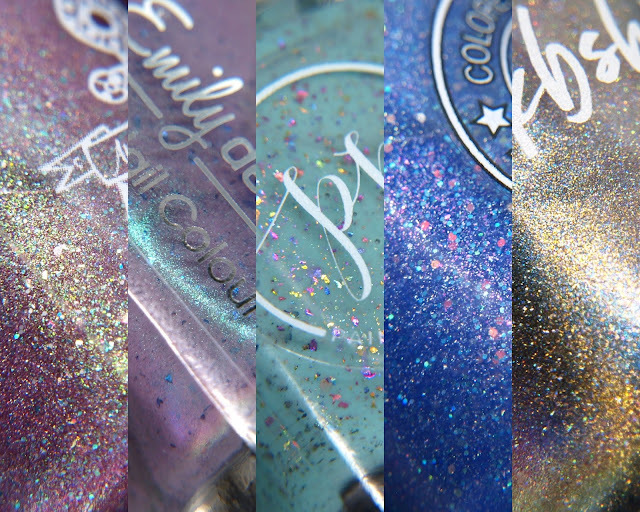 I have a beautiful set of four limited edition polishes from Painted Polish that will be launching at The Indie Shop. The ‘Tisneyland Quartet’ is inspired by the tale of Cinderella and is made up of one glitter crelly, one creamy holo, one glitter topper, and one creme stamping polish. I love the inspiration for this set and I think each shade reflects it so well! Let's take a look..
Hello lovelies! I have the Essie Summer 2018 collection to share with you today! I love the range of shades and finishes in this collection. In my opinion there are at least a couple of must haves here! **EDITED** I just got the second polish for this week (Girly Bits) and instead of a second post I'm adding it to the original. 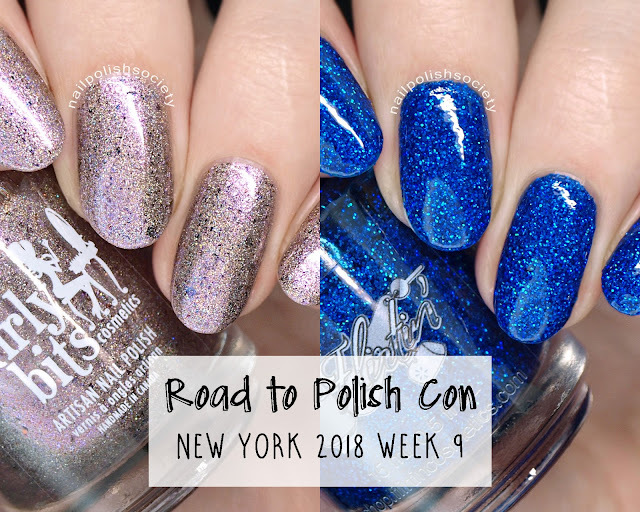 Are you ready for Week 9 of the Road to Polish Con? This week features a new-to-me brand, Flirtin' Polish. As first impressions go, consider me impressed! The formula wasn't gold standard but this shade is quite fantastic. Girly Bits Cosmetics is a brand I'm pretty familiar with and wasn't at all surprised that their contribution is a unique shade with a flawless formula. Let's take a look..
Hello lovelies! I am stoked about today's post! I was so thrilled to hear from the brand Sinful Colors when they reached out to see if I'd like to review their newest collection. Sinful Colors is known for their seriously affordable prices and quality formulas. My local drugstores are never good at stocking their new shades so I jumped at the chance to get my hands on these. The new face of Sinful Colors (it's a full cosmetic line) is Vanessa Hudgens and they have teamed up to create this twelve piece festival inspired collection. There is a wide variety of colors and finishes, some of which I found really hard to describe but I did my best! These lived up to their reputation and all had nice to great formulas. Let's get to it..
Hello lovelies! I don't know about you but I've been craving brighter colors lately. Especially because we're having Summer weather here already! The Colores de Carol Roller Girl collection is just what I've been waiting for with four bright and pigmented cremes and one versatile glitter topper! The formulas were all consistent and applied well, although they weren't completely self-leveling. The cremes all have subtle Aurora shimmer that isn't significantly visible but does give them a little more character. Let's take a look.. 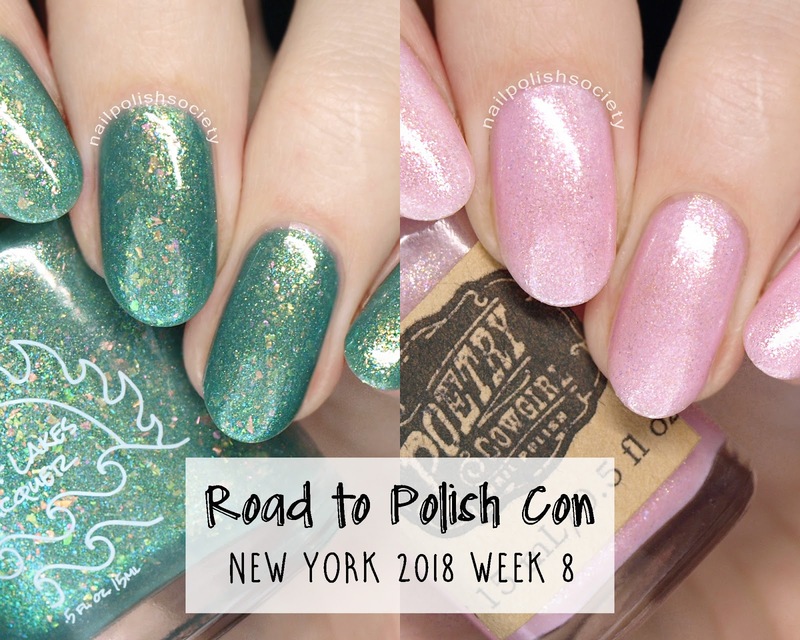 Here we are with Week 8 of the Road to Polish Con already! 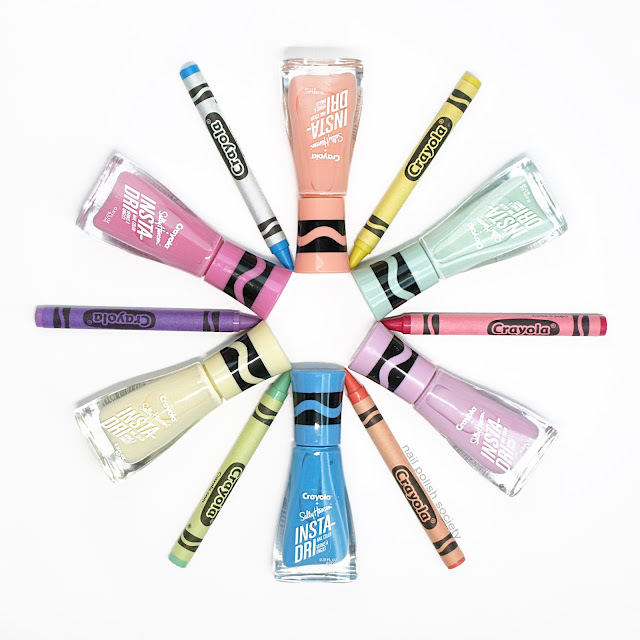 Have you been enjoying these limited edition shades? 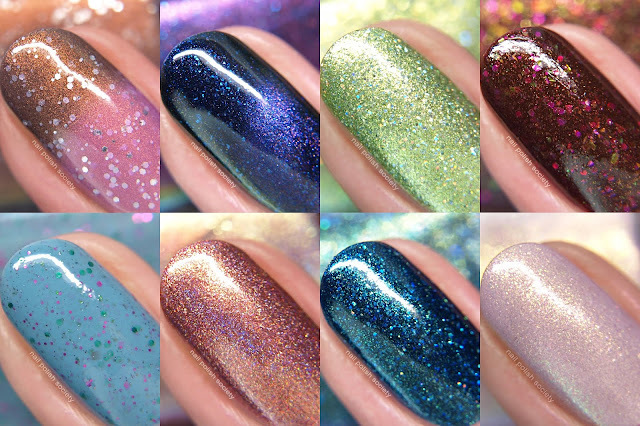 I think there have been some really gorgeous polishes offered and this week is no different! Let's take a look..